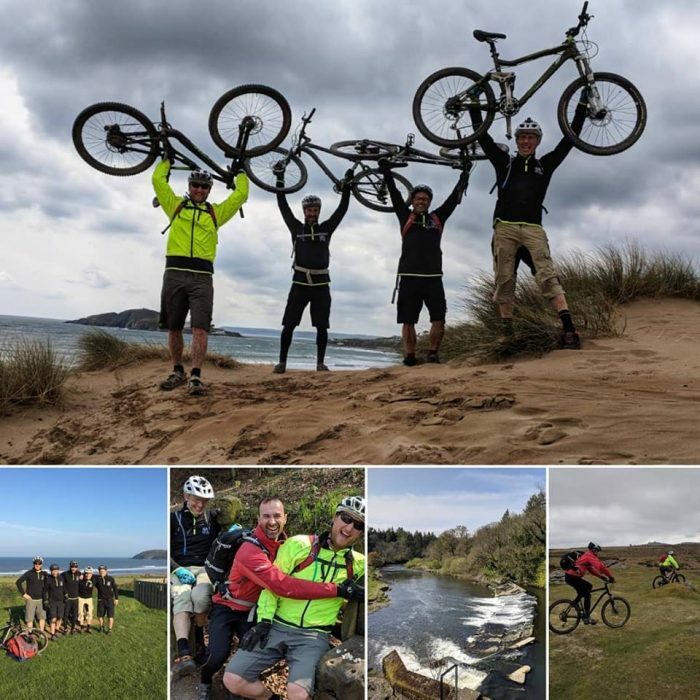 Home/News & Events/News/South Devon/The Harbertonford Hillbillies – Cycle Coast to Coast off-road! 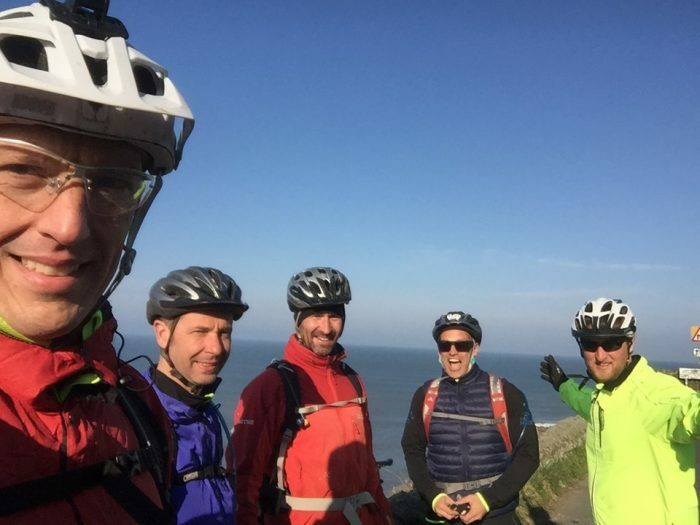 The Harbertonford Hillbillies (Gary, Wayne, Dave, Dan, and Rob) spent the weekend on their bikes, cycling over 100 miles from Croyde to Bantham. The most incredible part was that they did this epic journey off-road via the Moors on “Tracks, Trails and Lanes”. On Saturday 13th April, the Hillbillies departed from Croyde (North Devon) at 08:30hrs. 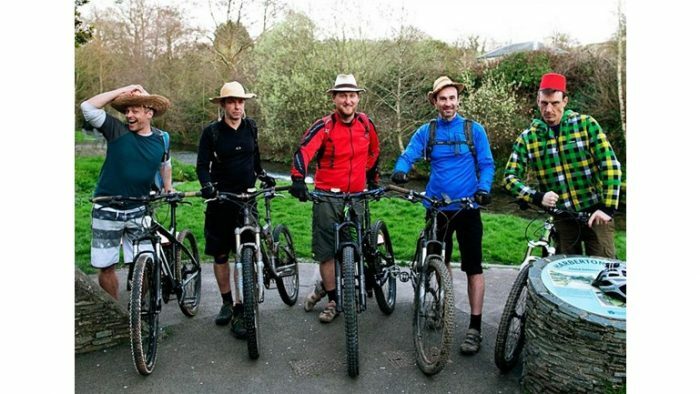 They cycled all day and made it to Moretonhampstead before dark, phew. Broken bodies and knackered, they headed off to bed ready to head to Bantham the following morning. 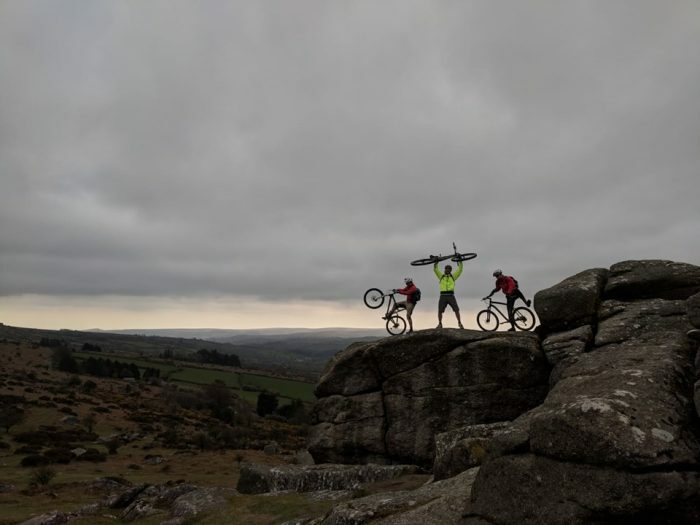 Another early start on Sunday meant a morning of gruelling ups and downs across Dartmoor. Gary continued, “The moor is thankfully just behind us! The undulating trek to Bantham awaits. We’re all hurting but it’s all worth it. I knew this was going to be a tough challenge but I didn’t realise how gruelling Devon’s ascents actually are. 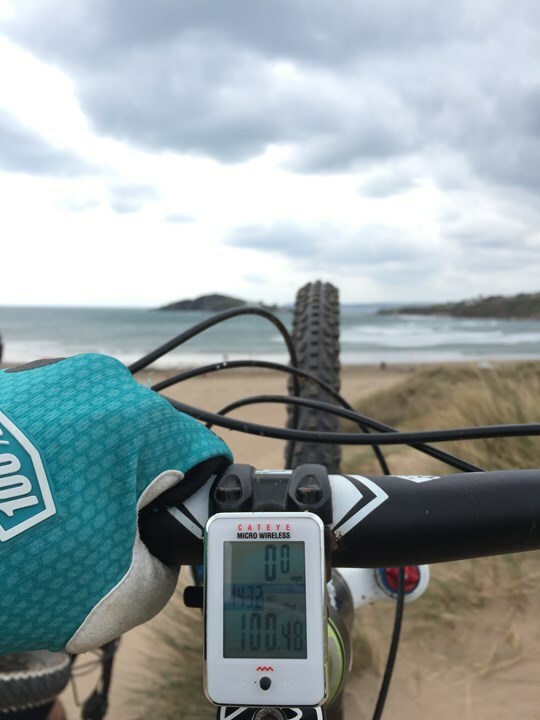 A very fresh South Easterly wind tried to sort the wheat from the chaff but luckily the other Hillbillies (Wayne, Dave, Dan, and Rob) kept this old husk (me) going and we completed 100miles from Croyde to Bantham today. A big thank you from the HHs for donating to this very worthy cause. 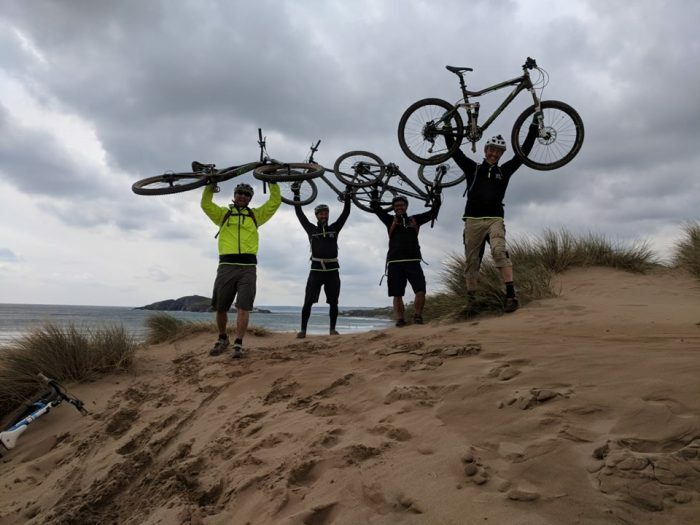 We can’t thank the Hillbillies enough for their efforts and a massive shout out to the organiser Gary, who week in week out is in the water volunteering in South Devon. To make a donation please head over to their just giving page and read more about the journey to the start of this epic weekend adventure.